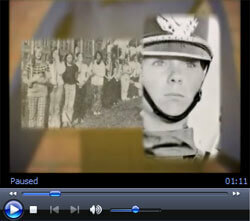 The Blue Devils posted two new videos today in honor of the corps' 50th anniversary. Through thoughtful interviews, performance highlights from many years, and tribute songs by the Blue Devils and the Santa Clara Vanguard remembering their two founders, these videos show the rich history this World Championship corps has. Fans and alumni alike are sure to enjoy this look into the Blue Devils' incredible past, and the journey that has taken place to get the corps where they are today. Check out the videos on BlueDevils.org.